DUBAI, UAE, May 30, 2016 - (ACN Newswire) - Loyyal today announced the development of Dubai Points, a blockchain based program to incentivize tourism, with the public backing of the Dubai Future Foundation, and as part of the Dubai Future agenda approved by His Highness Sheikh Mohammed Bin Rashid Al Maktoum, Vice President and Prime Minister of the UAE and Ruler of Dubai. The announcement came at the Keynote Blockchain Technology Conference, which was held today in the Burj Al Arab Hotel, Dubai. Dubai Points brings a number of government bodies together with established private-sector corporations to enrich the tourist's experience while visiting Dubai. Using Loyyal, the first universal platform for loyalty and rewards built using blockchain and smart contract technology, Dubai Points will be earned and redeemed dynamically at participating locations based on the tourist's unique lifestyle as well as any number of other data points such as time of day, past behaviour, location, age etc. "This will be both the world's first tourism incentification program and the largest scale public/private sector collaboration using blockchain and smart contract technology ever. We want Dubai to become the happiest city in the world by 2020. This program helps by giving Dubai a customizable and personal relationship with every visitor," said Greg Simon, CEO and co-founder of Loyyal. 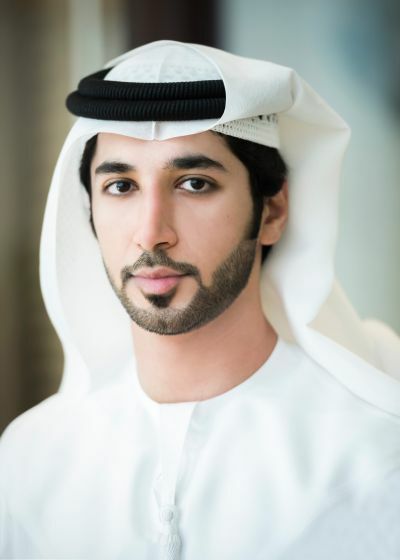 "This program is proof that blockchain is not limited to financial transactions but could be used in many ways, including promoting tourism," Said Saif Al Aleeli, CEO of Dubai Future Foundation. He continues, "The Foundation established the Global Blockchain Council as part of its Future Agenda to explore emerging technologies, investigate their impact, and also come up with ways to regulate it." Carlos Domingo, Senior Executive Officer of New Business and Innovation at du, a UAE Telecommunications company said: "As part of du's ongoing endeavor to contribute in positioning Dubai as one of the most rewarding and attractive tourist destinations in the world, we are proud to be part of the innovative Loyyal Dubai Points initiative as a world-first for any tourist destination to have this scheme." "Building on blockchain technology's capabilities in offering a superior means of powering loyalty-points programs, du will be facilitating communications and providing identity confirmation for this initiative, in a move to enable tourists to benefit from the industry-first loyalty program that is projected to boost business opportunities," he concluded. Sean Dennis, COO and co-founder of Loyyal, follows by suggesting "Many tourists visiting Dubai may miss out on experiencing its rich history and culture, as well as so many of the activities or facilities on offer. Dubai Points will incentivize tourists to visit other locations that may be suited to their preferences by rewarding them with points when they visit, and allowing for dynamic redemption based on their what they value." This Program is launched in line with the Dubai Future Foundation's visionary policy to investigate the implementation and impact of emerging technologies. As part of this, the Global Blockchain Council was formed. Current confirmed participants in the program include a regional flag-carrying airline, Jumeirah, du, Flyin, Privity, Digitus, the International Culinary Centre for Culinary Arts Dubai, SquareCircle Tech, the Dubai Future Foundation, and others for redemption and issuance locations. DigitUs, a MENA-based startup specializing in Blockchain technology services and applications applications and services, will join the project to develop the app which brings life to the service on the Loyyal platform. In the meantime, Loyyal is in discussion with PWC regarding program strategies. Loyyal is reinventing how loyalty is created and rewarded. Loyyal is the universal loyalty and rewards platform, built with blockchain and smart contract technology. It introduces interoperability to the currently fragmented industry, multi-branded coalitions, superior program liability management and dynamic issuance/redemption options customized for each unique relationship. It is "The Internet of Loyalty", at www.loyyal.com. For media inquiries, please contact Sean Dennis, Co-founder & COO, at sean@loyyal.com. du started operating in 2007, offering mobile and fixed telephony, broadband connectivity and IPTV services. Today, we serve more than 7.5 million individual customers and over 80,000 businesses in the UAE. We also provide carrier services for businesses and satellite up/downlink services for TV broadcasters. du is 39.5 percent owned by Emirates Investment Authority, 20.08 percent by Mubadala Development Company PJSC, 19.5 percent by Emirates Communications and Technology LLC and the remaining by public shareholders. Listed on the Dubai Financial Market (DFM), the company trades under the name 'du'. Visit www.du.ae.